Many people are unaware that although a renowned Hindu deity, Ganesh is also worshiped by Buddhists. It is said that during the 10th century, merchants traveling from Asia began to worship Lord Ganesh. As their devotion and teachings spread among the trading community, many other traders began to worship Ganesh as well. 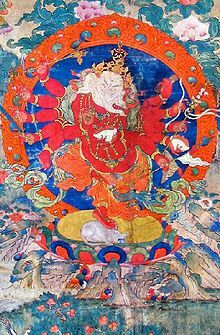 His role as Remover of Obstacles was very much important to their journeys in trade as the hoped for safe voyages and safety from harm while at sea. Lord Ganesh therefore became the primary deity associated with traders.They would invoke his image before any other god whenever hardship would arise. When Hindus began to spread across to the Malay Archipelago in Southeast Asia they took with them not only their culture but their particular fondness for Ganesh. Statues were erected throughout the region in his honor. Hindus migration further into Southeast Asia such as in Indochina, brought the practice of worship of Hindu deity’s right alongside Buddhists. It is here that Buddhists alike began to adopt their fondness for Ganesh as Remover of Obstacles. Even today in Buddhist Thailand Ganesh is worshiped as God of Success. 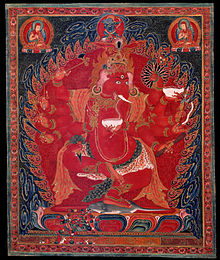 Within Mahayana Buddhism, Ganesh appears in the form of the Buddhist god Vinayaka. 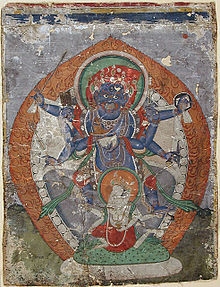 His image often appears in Buddhist scriptures shown dancing.